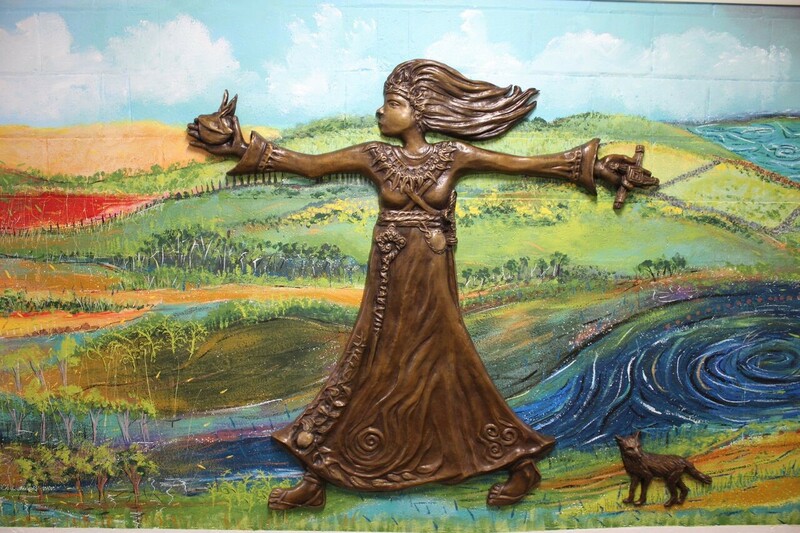 To mark the 60th celebrations a new Brigid sculpture and mural was commissioned. The backdrop for Brigid is a painting of the landscapes of Ireland and Australia. Legend tells us that Brigid was born across a threshold, not in, not out, not belonging to either, yet belonging to both. 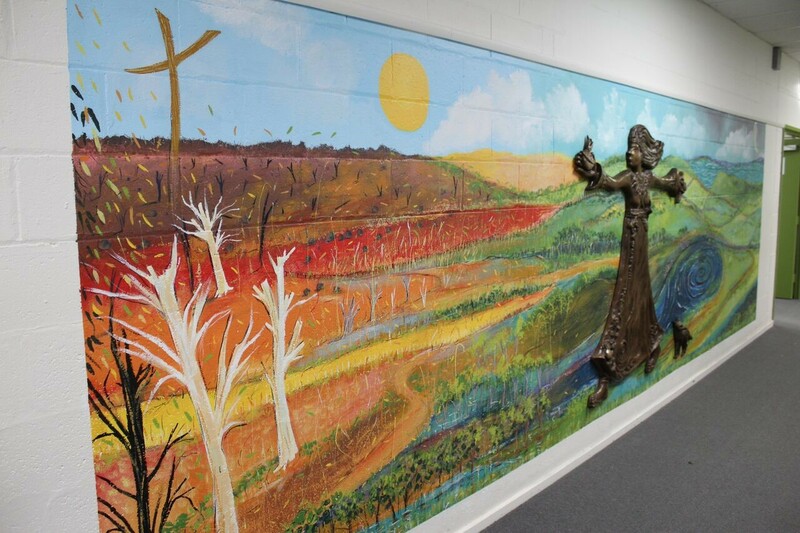 A full appreciation and explanation of the artwork, given by Rita Grima, Co-Principal of Marian College West Sunshine is below.